"Like" token, awarded by topden. 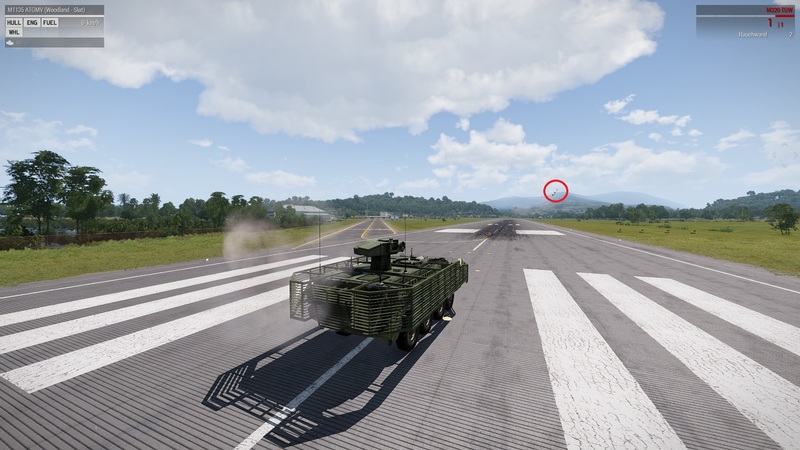 A missile fired from the Vehicle pulls up instantly and does a 180. Tested it with the CUP_B_M1135_ATGMV_Woodland_Slat and the current DEV Versions of CUP. Probably broken due the targeting thing from the last Update. Humvee TOW works fine on my end too.